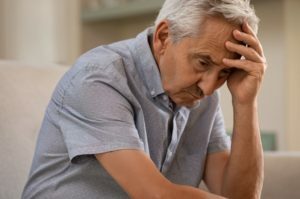 According to a 2019 article in New Scientist, dementia has become the fifth largest cause of death in the world, and Alzheimer’s constitutes nearly 70% of the cases. A study at the New York University College of Dentistry discovered that gum disease can increase the chances of Alzheimer’s and its association with cognitive dysfunction. The reason: inflammation. When you experience gum disease, you can expect red, puffy, and inflamed gums. Your body is trying to fight off infection, hence, the swelling. While early stages like gingivitis can be reversed, more advanced stages of gum disease, as well as chronic inflammation can cause problems with your overall health, including your brain. If oral bacteria travels through your bloodstream, it can lead to harmful issues throughout your body, such as diabetes, heart disease, and stroke. However, if it can affect these areas of your body, it will also negatively impact your brain. If inflammation of the brain occurs, your body’s immune response will be to fight, but in effect, will kill neurons instead of protecting them. It may sound like a lot to remember, but practicing good oral habits are crucial to your overall health. If your family member is the one suffering, it may be difficult for them to remember to care for their oral health, so find ways to help them out. Maintain a daily routine. Brushing for two minutes, twice a day. It may be surprising, but it takes a full two minutes to clean out all the bacteria living in your mouth. If you’re taking the time to clean your teeth, make sure you do it right. Visit your dentist for regular checkups. Age is just a number, and just because you’re getting older doesn’t mean you should stop seeing your dentist. Continue to go every six months for a checkup and cleaning, and keep your teeth and gums healthy and strong. Floss at least once a day. Talk to your dentist about proper techniques, and be sure to floss between your teeth to remove bacteria and any leftover food particles. Make wise food choices. Too much sugar and carbs can lead to tooth decay and gum disease, so incorporate fruits, vegetables, lean proteins, and low-fat dairy into your diet. And don’t forget to drink plenty of water! Alzheimer’s is a devasting disease that brings much heartache to families of loved ones who are suffering. If you suspect a member of your family is showing signs, and you know they are not properly caring for their oral health, encourage them to make an appointment with their family dentist in Toledo. Early prevention is the key to halting the effects of Alzheimer’s and other health-related diseases. Preventative care is crucial to maintaining good oral health, which is why the Dental Group West is devoted to providing quality services to keep your teeth and gums in check. Looking for comprehensive dental care? Look no further, as we offer everything from general, cosmetic, restorative, and even sedation dentistry. To learn more about our services, contact us at (419) 539-2168.